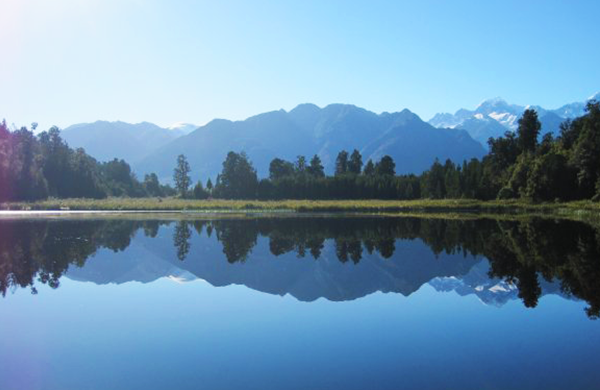 Ready To Explore Stunning NZ? Explore the best of North and South Island New Zealand on the very best 18-day guided group tour between Christchurch and Auckland. 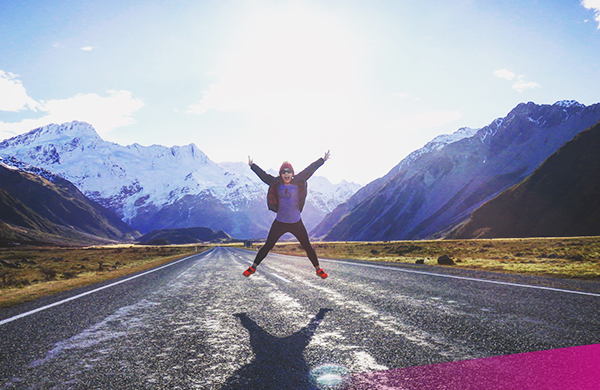 Visit cool cities, breathtaking National Parks and scenery, experience Māori culture, meet backpackers from all over the world and find hidden spots with the help of your awesome guide! Travel between Auckland and Wellington on this 7-day guided group tour of New Zealand’s North Island. 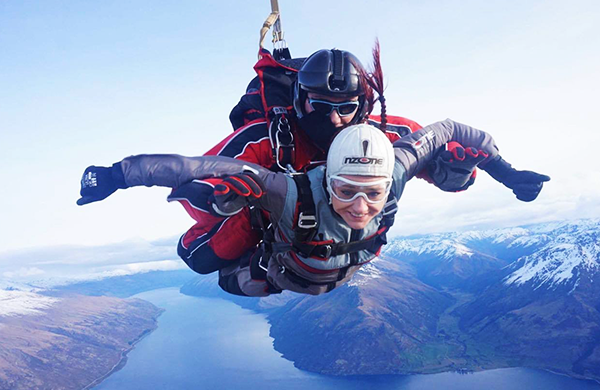 See the stunning Bay of Islands, explore Auckland and Wellington, hike in Tongariro National Park (aka Mordor), soak in Rotorua’s hot springs, bungy jump near Lake Taupo and even spend the night on a Māori marae. Experience NZ’s South Island on this 7-day adventure from Christchurch to Queenstown and back again. This is truly ‘Middle Earth’! If you’ve seen the Hobbit and Lord of the Rings movies, then Milford Sound, Fox Glacier, Lake Ohau and the Southern Alps will feel like old friends! With amazing scenery, adventure activities and Kiwi culture, NZ’s South Island is not to be missed! Jump on one of our most popular hop-on, hop-off bus passes and bounce from one unique or iconic destination to the next. 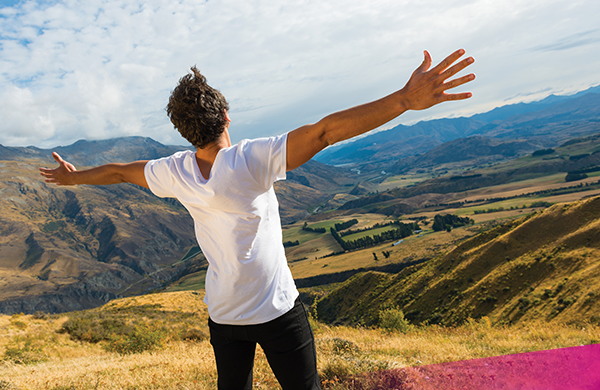 With flexible travel options, different routes to choose from and friendly guides to help you book accommodation & activities as you go, you can just focus on having the time of your life, without missing out on the best bits! Build your very own adventure! 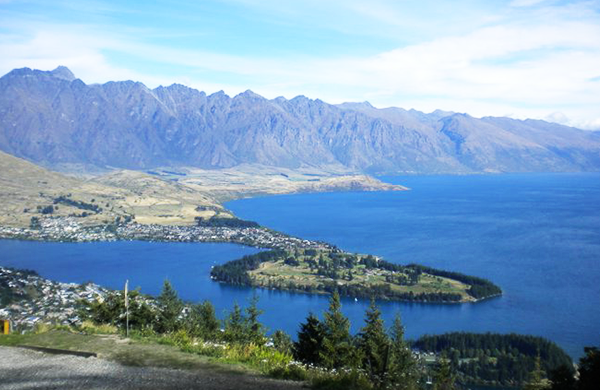 Discounts on tours, transport passes and accommodation all over New Zealand. Get in touch with our travel experts for a custom itinerary and quotes today. There are a million things to do and see – the list never ends! Find some inspiration below and get in touch with us, so we can help you build the perfect trip suited to you and your budget. Did you love “Lord of the Rings”? 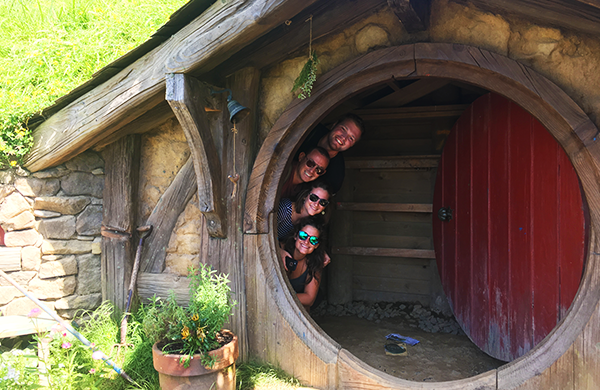 Head to Middle Earth and explore the Shire, visit the ‘Baggins’ house, take in the beautiful sights and have a beer at the famous ‘Green Dragon Inn’. 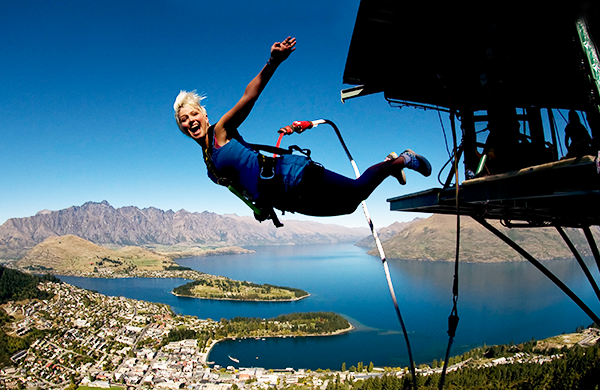 Some say a bungy is scarier than a skydive. We agree. Bungy jumping makes you feel very alive, and grateful for living afterwards! Imagine you’re standing on a platform, 134m above a valley, about to jump down a cliff. 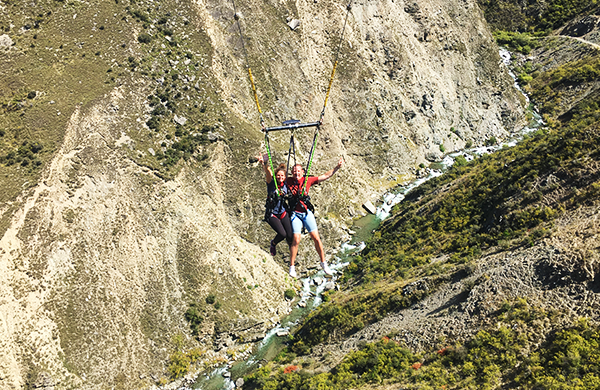 New Zealand’s highest bungy will make you sh*t your pants. 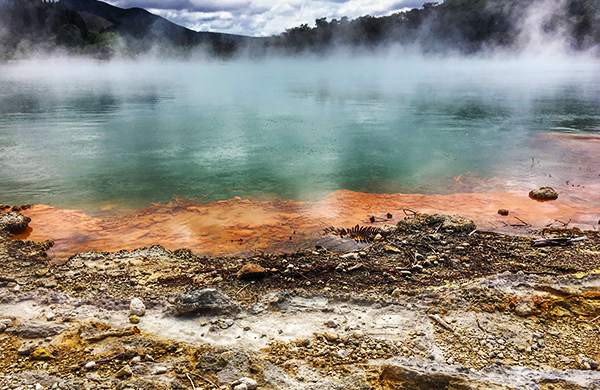 Rotorua is known for its natural hot springs, boiling hot bubbling mud pools, shooting geysers and its rather unique eggy aroma… ask anyone who has been there and they’ll say it smells like something the dog let slip. 😉 Don’t let that stop you though! Rotorua is the heart of Māori culture – try a hāngi! The worlds highest cliff jump / vertical free fall from a 109 meter high platform will get your blood pumping and a smile (or scream) perfect for your next profile pic! Our tip: try it backwards! Embrace that fear of heights and throw yourself out of a perfectly working airplane! You will free-fall for a full 60 seconds at over 200 kph – oh boy! As soon as your chute opens, you’ll glide gracefully back to solid ground. 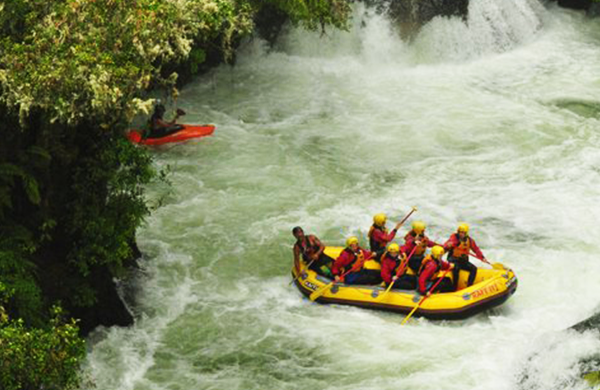 Fear, excitement and happiness all at the same time; an experience that will have you going back for more! Ever walked on an active glacier? We thought so. 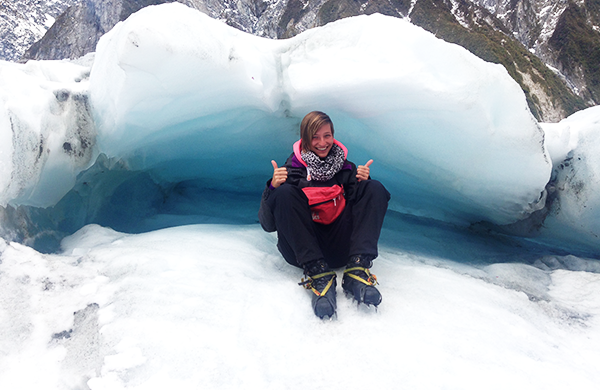 😉 Franz Josef Glacier is found on the west coast of the South Island, and is accessible for guided tour groups! We recommend taking a helicopter up and exploring the glacier from up high! Keen?! Chat to us! 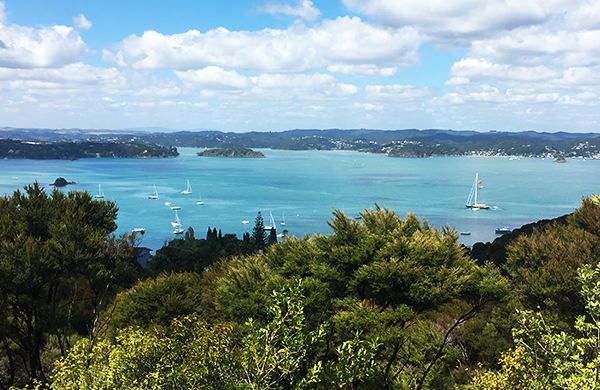 This stunning region north of Auckland is made up of 144 beautiful little islands. A couple of hours north of the city and you can enjoy lush countryside & stunning views. We 100% recommend taking a boat trip around the islands – the best way to explore the area! 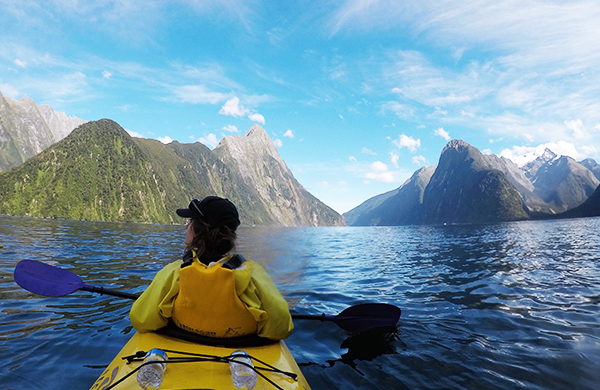 Deep within Fiordland National Park lies one of New Zealand’s most stunning natural attractions: Milford Sound. Hop on a catamaran, relax and take in close-up views of waterfalls, rainforest, wildlife and crystal clear waters! This trip will make you love NZ even more. Winter in NZ? 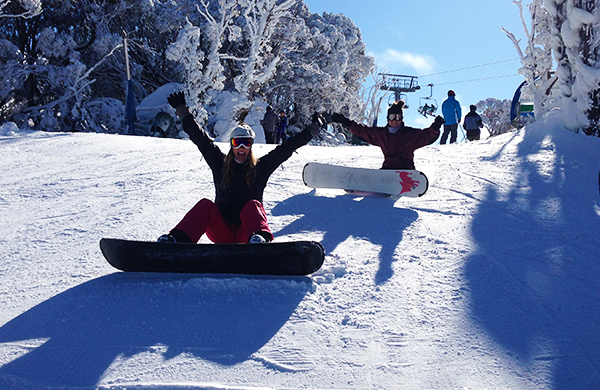 We say hit the slopes and enjoy some of the best snow, views and vibes in the world! You’ll find beautiful mountains & dreamy snow all around you, so if you’re into skiing or boarding, you’ll LOVE New Zealand! 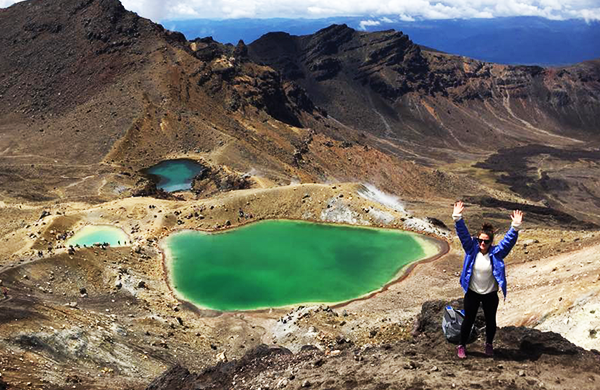 The Tongariro Alpine Crossing is a once in a lifetime experience! 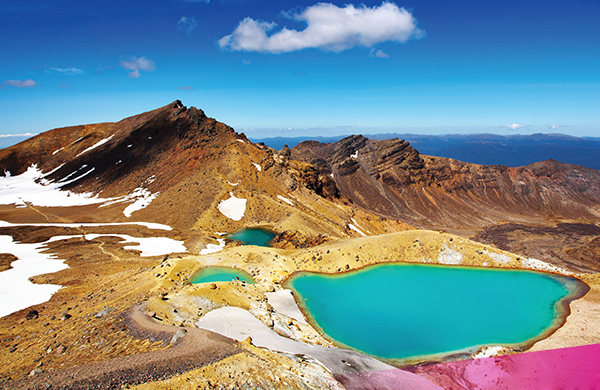 This track crosses spectacular volcanic peaks & lakes – it’s like being on a different planet! You’ll find out for yourself this is the best one-day trek in New Zealand, we say it’s one of the best in the world!